Bent Fabricius-Bjerre is one of the most famous and beloved composers in the Nordic region. His career spans more than seven decades, and his countless themes are part of the curriculum in music schools; performed by musicians of all ages and all levels worldwide. For many, he's composed the soundtrack of our lives, and at age 92, he still remains active as a film composer. The Guiness Book of Records is currently considering him for the position of "the oldest active film composer in the World". See more here and meet Bent Fabricius-Bjerre in this video. 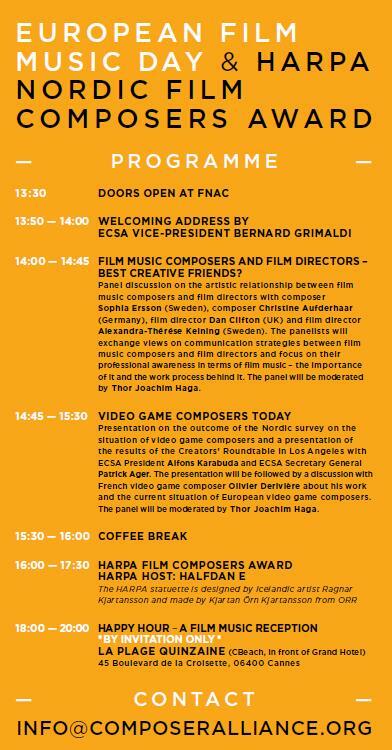 Bent Fabricius-Bjerre will be present in Cannes, where this year’s HARPA Award will be handed out as part of ECSA's European Film Music Day. 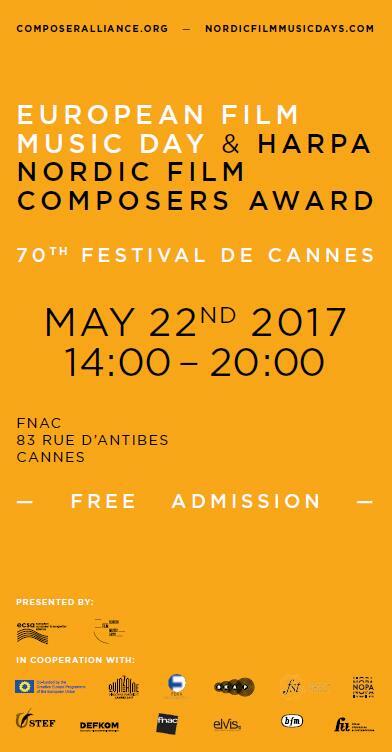 ​Norwegian Gaute Storaas and Swedish Sophia Ersson where found among the five winners of Grand Scores, the European Film Music Prize carried out as a cooperation between ECSA and Moet & Chandon. Gaute Storaas ​won for his orchestral score for 'En man som heter Ove', Sophia Ersson for her electro-acoustic score for 'Pojkerna'. Both composers are nominated for this years HARPA. Knut Avenstroup Haugen og Ginge er nominert til filmkomponistprisen Harpa.